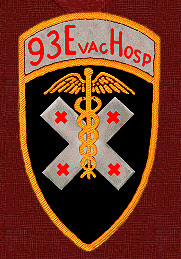 The 93rd Evacuation Hospital - Former Members In Touch ! Poor health makes updates SLOW, but they do happen! Posting in the Guestbook is an immediate alternative. NOTE: Robert Ferrand is looking for anyone that remembers his time with the 93rd Evac, especially Staff Sergeant Binns! Add Your Own Info To This Email Listing !